Donations dropped off at thrift shop are accepted during business hours. To schedule large item pick up service, call 919-875-8901. Your financial support helps ensure our continuing efforts to make a difference in the lives of thousands in the Triangle area. Contributions are tax deductible. 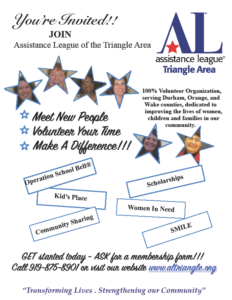 Make checks payable to: Assistance League of the Triangle Area. Donations can be made through PayPal below. 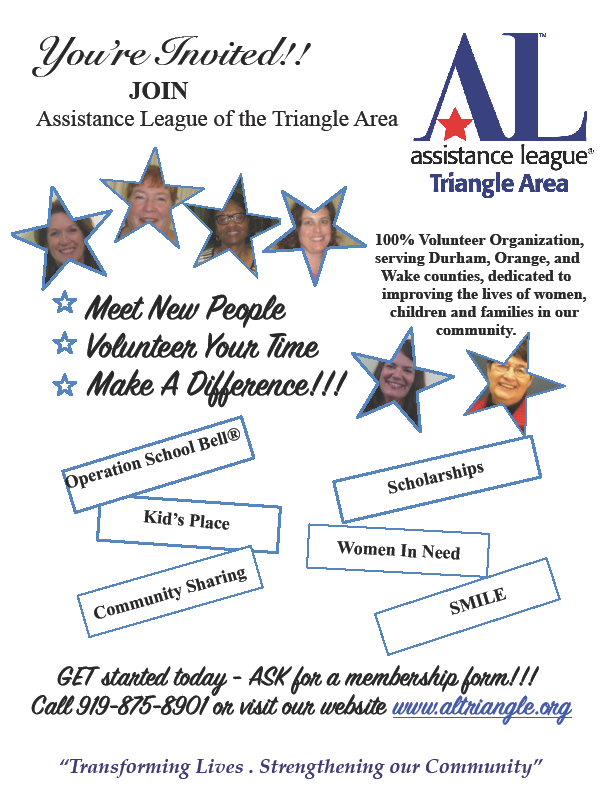 You may designate your donation to one of our six philanthropic programs by contacting us directly by email at join@altriangle.org or by US mail. 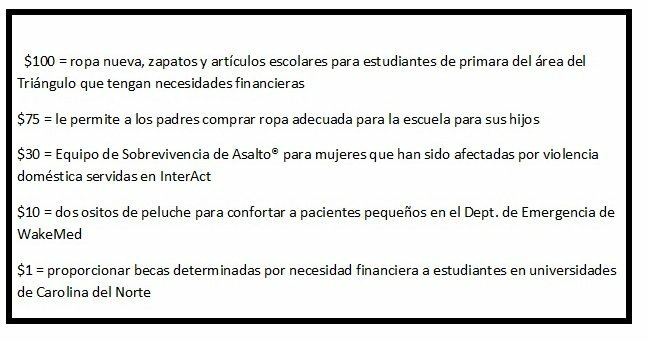 If you do not specify, your donation shall be used to support all programs. Thank you for your financial support of our nonprofit 501(c)(3) organization.